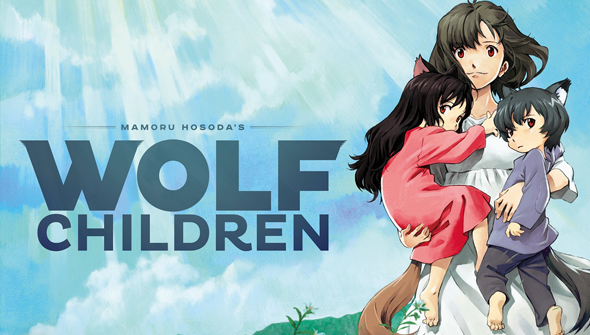 Welcome to our regular round-up of the latest animation home entertainment releases. However, as next week is Christmas, we decided to expand this week's edition to cover the releases for the rest of the month. • Digimon Adventure Tri- The Movie Part 3 (Manga, PG) Digital monsters return. • Fairy Tail Part 21 (Anime Limited, 12) The latest chapter in the magic-themed anime saga. • Sword Of The Stranger (Anime Limited, 15) Samurai action classic from Studio Bones. • A Town Called Panic: The Collection (GKIDS) Stop-motion specials A Christmas Panic and Back To School Panic, plus bonus shorts. • Cross Ange: Rondo Of Angel and Dragon (Sentai Filmworks) Sci-fi/fantasy anime from Sunrise. • Dragonar Academy: The Complete Series [S.A.V.E. Edition] (FUNimation) Fantasy anime. • LEGO Ninjago Movie, The (Warner Bros) The third big-screen LEGO movie. • Mobile Suit Gundam Wing: Collector's Edition (Bayview Entertainment) Complete collection of the fan-favourite giant robot anime series. 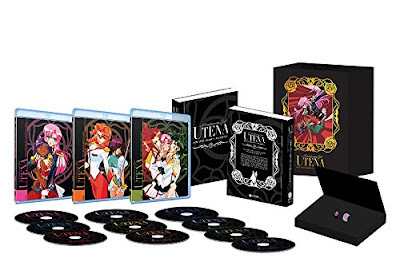 •Revolutionary Girl Utena Complete Series 20th Anniversary Edition (Bayview Entertainment) Complete collection of the classic 90's saga. • South Park: The Complete Sixth Season (Paramount) The next batch of South Park seasons hits Blu-Ray. • To Love Ru: The Complete Series (Sentai Filmworks) Raunchy anime comedy. • Dragon Ball Z: Movie Collection 3 (Manga, PG) Includes Cooler's Revenge and The Return Of Cooler. • Dragon Spell, the (Altitude, U) No. We've never heard of it either. • Girl Who Leapt Through Time, The [Hosoda Collection] (Manga, 12) Hosoda's break-through film gets a new edition. • Transformers: The Movie: 30th Anniversary Edition (Manga, PG) Robots in disguise. Our review available here. • Barefoot Gen Movies 1 & 2 (Diskotek) Acclaimed autobiographical Manga adaptation about life in the aftermath of Hiroshima's Atomic bombing. • Disastrous Life of Saiki K: Part One, The (FUNimation) Anime comedy. • Disastrous Life of Saiki K: Part Two, The (FUNimation) Anime comedy.